As we head into 2011, you may well be thinking about how your particular field will evolve in the coming twelve months. Perhaps you’ve been developing certain ideas, pursuing unusual professional interests, or focusing on some aspect of your work that no one else seems fascinated by. Maybe these ideas don’t seem to be getting you anywhere. Perhaps you can’t yet see how they fit into the bigger picture of what you do, or anyone else does. Or perhaps you can make the connections, but no one else can. Should you take your ideas seriously? Or should you shift your focus to something more mainstream? In the last few months, I’ve had the chance to speak with a number of online innovators: people who’ve started their own niche businesses, developed digital products, created entirely new segments or markets, and so on. It struck me that every day, step by step, these people had proceeded into the unknown. Of course, each day is a step into the unknown for everyone, but most of us spend our days in the safety of an established discipline or field. Few of us ever step beyond the boundaries of what’s known. The irony is that the web is flexible, with blurry boundaries. It has great possibilities for innovation that take us from the warm shallows into the uncharted depths beyond what we know now. For example, the work of many people has allowed social media to change the web from a “selling” medium to a “sharing” medium, and has created new boundaries: new markets, new concepts, and new ideas. The individuals I spoke to had ideas, and they’d pursues those ideas independently of the market and their peers. They’d had to define and establish new boundaries outside the existing frameworks. Their passions had led them into a new space, and they’d wanted to make a living in that space. This had necessitated communicating the new boundaries to others, and to sell their idea to the point of becoming a profitable, business-sustaining proposition. To say “someone had an idea” is, I think, an enormous simplification of the facts. 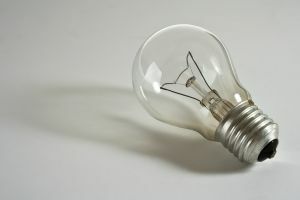 Innovation isn’t all “light bulb moments” and flashes of inspiration. The process of defining a new space is something like a pregnancy. It starts with a seed of thought, which develops almost imperceptibly at first, but slowly becomes clearer and more formed. But its differentiation from the existing body of knowledge, experience and expertise can take a very long time. Eventually, though, the component parts become evident, the concept takes shape, and a new idea is recognized — perhaps only by its creator at first. The innovator may not realize that she had “an idea” to begin with; the seed of thought may have been just one of many. But that thought resurfaced in different forms, connected with another thought, and became more clearly defined. In short, before a social network was a social network, it may have been a way to find out who knows who (as Facebook was), a personal bulletin board made public, or a simulacrum of the water cooler. It was most likely an inclination, interest, whim, or wish before it became a development project. That niche area you’re interested in? Stay interested. Those articles you’ve been bookmarking? Read them. Those thoughts that keep circling around in your head? Keep looking at them. Before your idea can be born, it needs time to form — and during that time, it may seem like anything but an idea. The only way to bring it to light is to follow the threads that pique your interest. Indulge your passions or interests, and think about the issues that most appeal to you. It might not happen today or tomorrow, but you might just become one of the web’s great innovators. How do you bring ideas to fruition? Image by stock.xchng user Buckey. Thanks for your encouraging and insightful article! At this time of the year, we hear a lot about following your dreams and passion but I like how you offer more specific, practical advice… not to expect that dream to instantly materialize but more of a process of connecting the dots as you say until it eventually forms something more tangible. Just starting is the most important part. I teach some entrepreneurship courses and one of the things we often discuss is how an idea is just the initial step, it’s all about execution and where you end up is never where you originally planned. I look forward to sharing your article with my students. The article provides the genesis to get off the couch and back to the drawing board. Ideas are what driving us and not knowing why to stop is at some point the mother of all great invention.